Newly-established Phantasm Studios is looking to bring the legendary Arthur back from the dead with a fresh entry in the Ghosts 'N Goblins series. CEO and founder Monty Singleton has lifted the lid on a Kickstarter campaign to raise the necessary funds for development, but there's a catch: he doesn't have the permission of Capcom to use the brand — at least not yet, anyway. Capcom only promised to review our submission, and nothing more. We have only discussed a possibility of a developer’s license if the game is up to their standards. We do not currently have one and may not get one. The game is not in development yet. 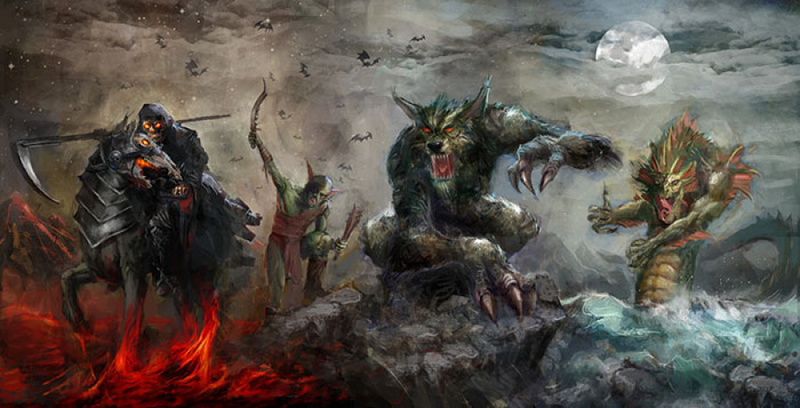 We have only finished pre-production (concept art, strategy, story, physically modeling the characters). We are now at the expensive part, paying our veteran coders, designers, and artists (who have worked with Electronic Arts, Activision, Sega Japan) to build a game that’s up to Capcom’s high standards. We need your help so we can create a game so amazing, Capcom won’t say no. In 1980 Shigeru Miyamoto of Nintendo created a Popeye video game but couldn’t get the rights from King Features. He transformed Popeye to Mario, Bluto to Donkey Kong, and Olive Oyl to the Princess. This was the birth of Donkey Kong. After the success of Donkey Kong, King Features changed their mind and allowed Nintendo to release a Popeye game. That is why the games are so similar. If we can’t secure a developers license we will change King Arthur and the name of the game, but that is all. Thankfully werewolves, demons, skeletons, reapers, ghosts, goblins, etc. are all public domain. The modifications will be so minor, the changes will be easy and will not change our release schedule. The proposed title is being coded in Unity and is currently slated for release on Xbox Live Arcade, PlayStation Network and 'Nintendo eShop' — it isn't specified which one, or if it's both the 3DS and Wii U digital stores. We'd certainly love to see a sequel to Ghosts 'N Goblins — what about you? Will you be backing this project? Or do you want Capcom's official involvement before pledging your cash? If enough interest is shown, then perhaps the publisher will relent before the Kickstarter ends. They...probably shouldn't be calling it that if they don't yet have the permission. You only learn latter in the video that they will pull a "same game different characters" move if capcom does not approve. I swear after i keep seeing more and more of these kickstarters that a small marketing consulting firm would do great focused on Indie Games. I just always feel that something is missing or information that should be right in your face is hidden and doesnt build confidence in actually supporting a project. Capcom is doing so bad that its IPs are moving on without it! I'll...be keeping an eye on this one. Very interesting. I hope they get the license, but even if they don't I'm sure it can be great. Caocom wont agree i fear. So many known devs said that they wanted to continue capcoms franhises without them beeing involved financially (Legends 3 for example) and they never agreed and still didnt do anything on their own. Its insane if Capcom has any rights whatsoever over King Arthur. (Goemon is the Japanese equivalent and has been used by many). Think it is harder than people think to do a game like this right. (Ultimate Ghosts and Goblins was wrong which is why Japan got an updated version). Lots of the indie games I have played like it have been wrong. (Or more similar to the NES ghosts and goblins than the arcade that takes action to stop you playing it any other way than properly). That Kickstarter campaign looks extremely unprofessional. What I'm getting is they have a very rough concept of a ghoulish game. The branding is the only thing lending credibility or noteworthiness to this project. Without it, they appear to have as much content as I do for any number of personal projects. That video is less then inspiring. Instead of bashing what you think is wrong with current games why not tell us what is going to be amazing about your game. 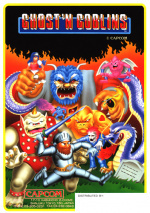 Also the Maximo series is part of the Ghosts n' Goblins series. The concept art while well drawn, lacks personality and a distinct style. I think modern gamers want more then just a werewolf called "Werewolf". Eh. I never cared much for Ghosts 'n' Goblins. It was basically the "I Wanna Be The Guy" of the 80's. I prefer these games when you cannot shoot or hit vertical. The VC Arcade one is hard but its ok because it is not costing per credit. I'd love to see a game like this come out, but based on that presentation, I'm afraid this won't see the light of day. I'm all for this game. Very cool. No reason they shouldn't be able to still use Arthur presuming they don't rip the sprite. Probably need a new bad guy who they can get from the mythology. Most important thing is the game (And the proper mode - Don't want one where the normal (Ultimate coincidently) mode is an after thought. 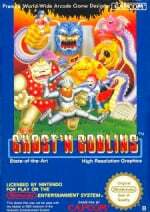 (Like the original Ultimate Ghosts and Goblins release of which Japan got a fixed version). The way that the Arcade original one stops you from being defensive is one of the things that makes it what it is. (For all I know from that video they are going to do something like the 3DS Castlevania though). I'm going to does this with the Gargoyle's Quest series. I'm sure Capcom would approve it. Not interested. They say they license games from other companies. What games have they licensed? One of the reasons I backed No 9 was because of the experience the team has. Oh, and the Princess is NOT in Donkey Kong. She was in another castle, I guess. And I don't mind having to look for bestsellers for the kids, since Nintendo has been doing that for all these years. They could call it Hosts and Groblins and everyone would just think it was Capcom anyways! Maximo:GtG is one of my top 10 games ever. It was just as perfect a translation from 2D to 3D as Metroid Prime or Ocarina of Time. @Damo if they are developing it with Unity, it will be for WiiU's eShop but not for 3DS' because the handheld doesn't support the engine (or the engine doesn't support the handheld, I'm not sure how it is said). If it is good, I'll buy it. @sketchturner I agree. Maximo (the first one) is highly underrated. I actually like it more than all the GnG games though Super is awesome. I'm not feeling this, however. This all seems fishy... I wouldn't trust these people with money, not only do they present their concept unprofessionally, but they don't even have permission from Capcom, yet they present it as a new Ghosts and Goblins to increase it's attention. Ultimate Ghosts and Goblins Kai - one the very best games on PSP, would be awesome either in 3D or on the Wii U. Not really interested in a western developed game and don't see much to get excited about here. a bit disappointed in this... I feel like the motivation is due to the fact that Capcom's on a downhill path to bankruptcy and can't really fight them.... Don't kick a man when he's down, esp. when he gave you 30 years (well... like 26 years?) of joy. The creators of Street Fighter X Mega Man did the same thing as this guy is doing. I wonder what happened to that game? @unrandomsam Lucifer is a name within public domain as well. @Bass_X0 Will this game be free as well? If it's heading to Xbox Live Arcade and supports Unity then it'll be a Wii U eShop title. That is if the project ever makes it off the ground. Right now it sounds a bit fishy, especially since they haven't even asked Capcom about the license yet. One of the developers made F zero levels! Im pretty interested in this now. Full support from me, man! 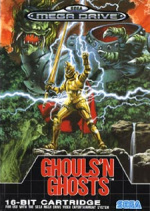 I absolutely LOVE Super Ghouls'n Ghosts. I think it's one of the best designed games ever- no joke. This news fills me with joy, even if it wont be called Ghosts and Goblins. It's always curious to see people work on something, without getting the tumbs-up from the franchise owners! It always fails! It's a bit of forcing your will, but if a franchise owner doesn't want it, it doesn't happen! Think of the rumored Kid icarus pitch years ago! Or the Zelda movie pitch! Do they never learn?! @WingedSnagret Ahhh observational humor, love it! You're right though, they're sucking wind on a lot of stuff and seem to have grossly lost direction losing key people, some of which will do a 'swap job' type thing with Mighty 09 and then if this gets made you can have GnG (if Capcom is smart) and if not it will be Demon World or whatever they'll call it while making it clear it IS but isn't GnG. Honestly I'd rather them be funded and not have to share a damn thing with Capcom as they would deserve all the cash for their efforts without bootlicking Capcom booty. I'm in for buying Mighty 09 when it pops up and being an old old school GnG player I'd buy this too. Id be more inclined to buy it if Capcom didn't see a gleaming cent from it. I have no confidence in this project at all. I highly doubt this is gonna get $50K. And I think it's pretty stupid to start this project before you have a deal with Capcom. Put together a prototype. Get the licensing and then we'll talk. If Capcom wanted a new Ghosts and Goblins they'd be making one or funding it. Also their whole thing about not having games for families is bullhonky because nintendo still exists. There are loads of games that are appropriate for all ages getting released. If they've finished modelling the characters why didn't they put them in the video? Right now it looks like all they have is an idea. Also, do they always dress up and play in graveyards? I think Capcom needs to start giving more attention to some of its other games besides Monster Hunter, Resident Evil and Street Fighter. I've been waiting for a new Ghosts n Goblins game, but Capcom just don't seem interested anymore. If they won't do it I have no problem with another developer taking the reigns, so long as it's up to the same quality standards as previous games in the series. That was pretty loving strange...................I don't think I trust these guys with my money??? ?